Would You Spend $70 One Time to Save $120 Every Year? Faithful readers may recall the story of a woman in Philadelphia who decided to go over her parents’ phone bill only to discover they were paying $21 a month to lease three landline telephones—one of which they’d tossed out years ago. Failure to keep up with technology cost this family $6,000. What’s it costing you? Just because you may have rented a piece of hardware in the past doesn’t necessarily mean it’s cost-effective or to continue. If you have not looked closely at your monthly cable and or internet service bill lately, you should. 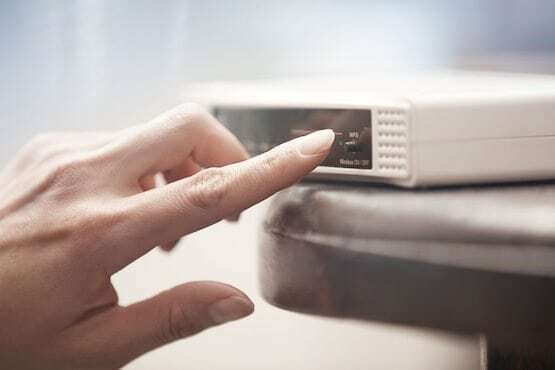 You may be leasing a modem from your service provider. It probably made sense when you signed up for the service and were asked, “Would you like us to provide the modem as part of your service?” or something like that. And I doubt if it registered with you what that cost would be on an annual basis. Or how many years that would go on. Or that you might have the option at some point in time to provide your own equipment. https://www.everydaycheapskate.com/wp-content/uploads/42194712_m.jpg 370 555 Mary Hunt https://www.everydaycheapskate.com/wp-content/uploads/EverydayCheapskateNewLogo.jpg Mary Hunt2015-11-30 00:01:292015-11-25 14:11:59Would You Spend $70 One Time to Save $120 Every Year? This is a guest post by David W. Hegg, MA, D.Min, senior pastor of Grace Baptist Church; professor, blogger, columnist, husband, father, grandfather and brother of your humble columnist! Visit Dave at his website and follow him on Twitter. So … here we go again! With Thanksgiving behind us and Black Friday staring us down there are no more excuses. 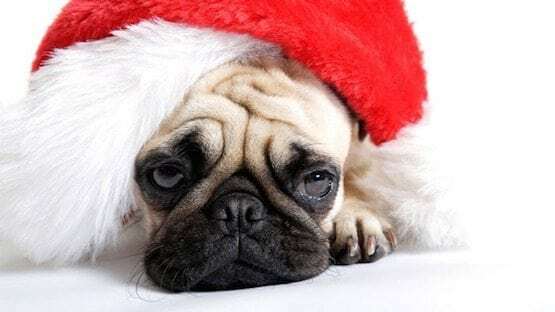 The Christmas season has officially arrived and we’re already tired! Worse, memories of past seasons have us secretly wishing we’d actually planned that December trip to Hawaii. But this year can be different if we’ll just take the reins and use Christmas rather than, once again, allowing the season to use and abuse us. Here are a few thoughts on making the season work for us. PRIZE PEOPLE OVER PRESENTS. One of the biggest challenges of the season is gift giving, especially if you have many to shop for, and do most of the family buying yourself. I can see you already. You’ve made lists for everyone, and lists of lists including stores and sizes. Or maybe you’re way behind in your list making, and that is just adding more stress. More than half of Americans, reportedly, make New Year’s resolutions. 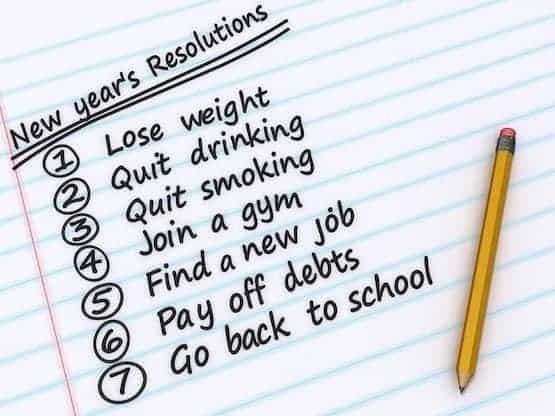 And 88 percent of those resolutions end in failure, according to a study by British psychologist Richard Wiseman. There is a scientific reason for this fail rate that once we understand, we’ll be able to keep our resolutions long enough to make them stick. The bottom line is that our brains cannot handle New Year’s resolutions. No seriously. It has to do with willpower and our brains’ cells that operate that particular mental function. The human brain is divided up into sections—each one handling different aspects of brain function. The pre-frontal cortex (the part located at the front behind your forehead) is assigned the tasks of 1) staying focused 2) handling short-term memory 3) solving abstract tasks and 4) willpower. Here’s the problem: That part of your brain cannot handle all of those things at the same time. It requires a huge amount of focus and willpower to change a learned behavior overnight, which is what a New Year’s resolution demands. Bad habits are hard to break—and they’re impossible to break if we try to break them all at once. The focus and willpower required are just too much for the human brain. It simply cannot deliver. Whether you want to look good or just to feel better, reaching your goal traditionally comes at a significant cost. But not if you’re a dedicated cheapskate. While medications and beauty products you use must be safe, there’s no reason that you have to pay exorbitant prices to ensure such qualify. 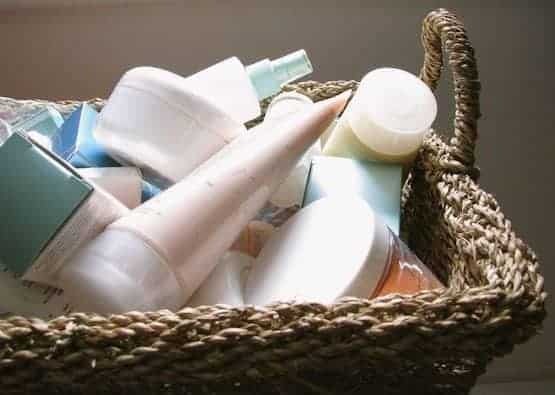 Here are some fascinating and functional tips for saving time and stretching costs on everything from deodorant to skin care and more. VISIT THE MEN’S DEPARTMENT. Buy mens toiletries if you have a choice when it comes to unscented deodorant, shaving foam and hair colorings, for example. Products manufactured specifically for men are significantly cheaper ounce for ounce than those made for women. Go figure. SHAMPOO. With great confidence you can confidently stop being a shampoo snob. In a Consumer Reports test of 132 name-brand shampoos, the lowly cheap brands from the supermarket rated just as highly as the pricey salon brands. Just make sure you know how to read the product’s list of ingredients. As you can imagine, every week I get a lot of mail from my readers containing hundreds of questions. While I can’t respond personally to every letter, I select questions I believe will have a broad appeal to the greatest number of readers to answer in a future column, like today’s. Salt. It’s mandatory in a human diet. But salt can be as destructive as it is needful due to its ability to eat holes through metal and leave ugly stains on footwear. DEAR MAHA: We should be thankful for sidewalk salt in the wintertime, because it’s effective at helping us avoid injuries from slipping on icy surfaces. 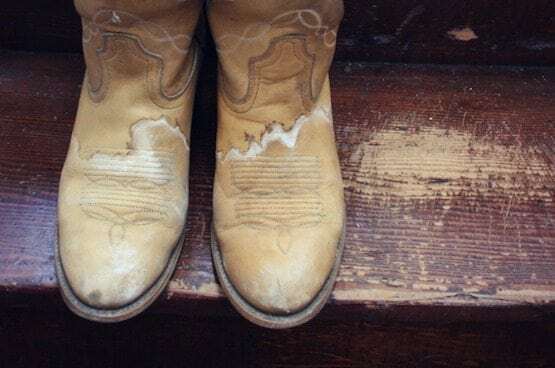 Of course, the downside is, these chunky salt particles get on boots and shoes causing damage and ugly stains. No Money, No Christmas? No Way! What would you do this holiday season if you had absolutely no money to spend and no available credit, either? That’s the question I ask this time of year, and the responses have been all over the map from all-out panic to excitement at the thought of taking on such a challenge. I’m not suggesting this should be the case for anyone. I’m simply posing the question in the same way I might ask what you would do if you noticed your kitchen on fire or your child choking on a chicken bone. Knowing to call 911 is good, but so is having a fully-charged fire extinguisher handy and a working knowledge of the Heimlich Maneuver. So, let me ask you, could you do it? 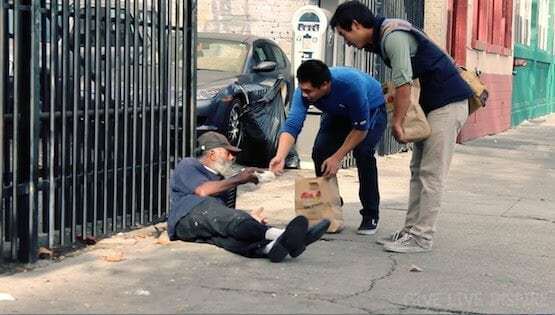 Could you find ways to celebrate Christmas that would fill your heart with joy and create warm and lasting memories, even if you had no money and no credit? https://www.everydaycheapskate.com/wp-content/uploads/112015image.jpg 312 555 Mary Hunt https://www.everydaycheapskate.com/wp-content/uploads/EverydayCheapskateNewLogo.jpg Mary Hunt2015-11-20 00:01:582018-11-08 12:43:05No Money, No Christmas? No Way! Just as I was knee-deep in researching, testing and learning all I could about electric space heaters, this letter washed up on my desk. 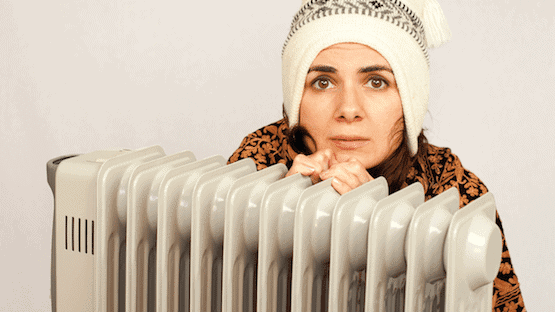 DEAR MARY: I need your help to figure out how we can reduce our home heating bill. It’s killing us to pay so much to keep our house warm in the winter. DEAR JEANINE: The most efficient and easiest way to reduce your home heating cost is to heat only the rooms that are occupied, while keeping your furnace set very low to say 55 or 60 F. Then use space heaters to make occupied rooms comfortable, while they are occupied. You can rely on this method during the day as well as at night.